Hello! I am Little Fish, swimming in the sea. I love my mummy very much, and Mummy Fish loves me. Join Little Fish and Mummy for a special day together! This heart-warming story follows Little Fish and Mummy on a rhyming adventure under the sea: swimming, blowing big bubbles and saying hello to all their fishy friends. 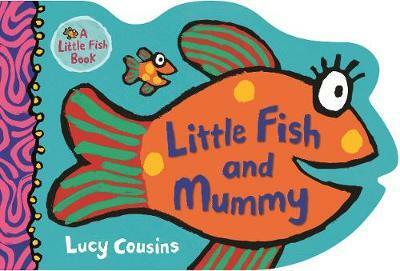 Little ones will love this sturdy fish-shaped book that’s all about the special bond between a mother and child.